With the release of PROLIN Smart Client 2016 R17, PROLIN introduced a powerful new feature designed to improve the efficiency of the service desk staff through quick and easy visualization of support information. This new capability is the ability to develop Dashboards that can comprise of multiple views, including the newly introduced Gauge view. This new capability means that all pertinent information to prioritize and manage the delivery of service can be made visible on one screen, a screen that is kept current and reflects how support is being delivered. It is said that a picture is worth a thousand words, by extrapolation, a dashboard view can tell the whole story. With the power to have multiple, customizable dashboards, each providing a unique collection of views, each answering the specific service management questions explicit to the user, the service management team can easily monitor the effectiveness of the service they are providing. By default, PROLIN Smart Client is shipped with the My Tasks dashboard view. 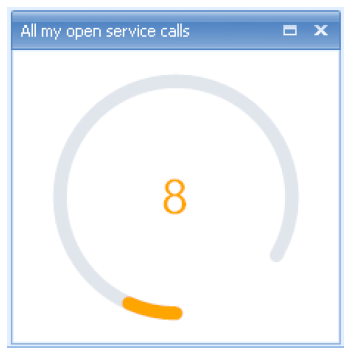 The dashboard can be rearranged by dragging and dropping a child view, similarly the views can be resized by using the drag bars between the individual views. 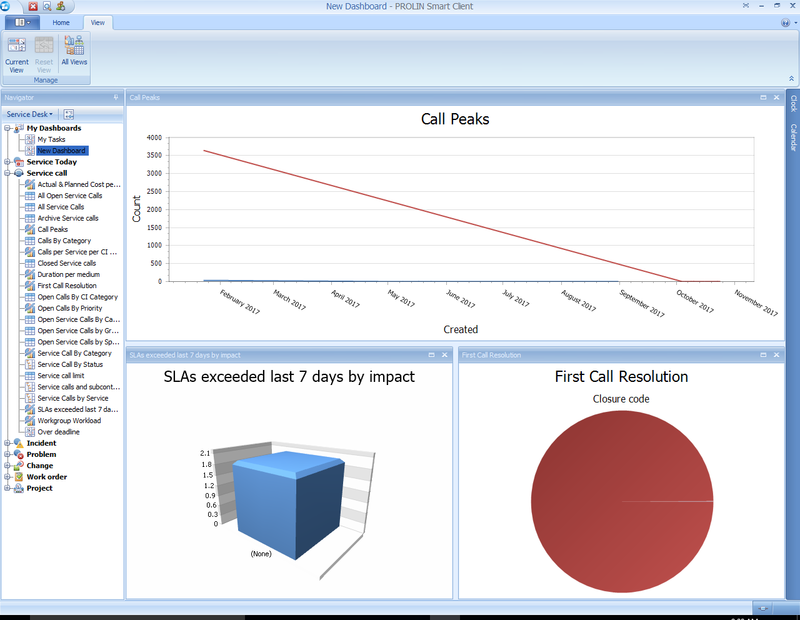 While this default dashboard provides a lot of value to the help desk team it does not necessarily paint the full picture for the other service support teams, for instance those with Problem Management or Change Management responsibilities. New dashboards can easily be added to support all of these functional teams and resulting dashboards will be listed under the “My Dashboards” section for each user. Building a new Dashboard, changing an existing one, or removing a dashboard is easy. 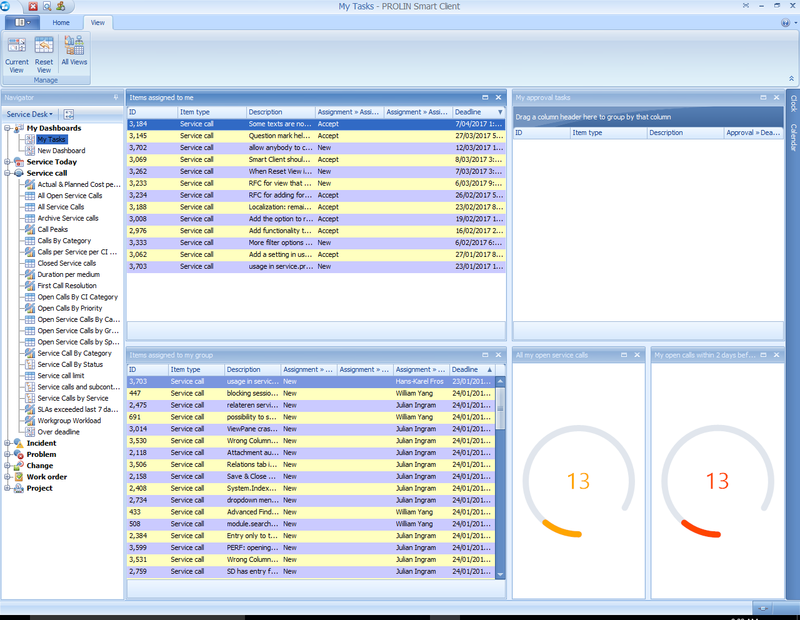 The Dashboard is a view like any other, apart from it can, and typically will, contain many other view types. 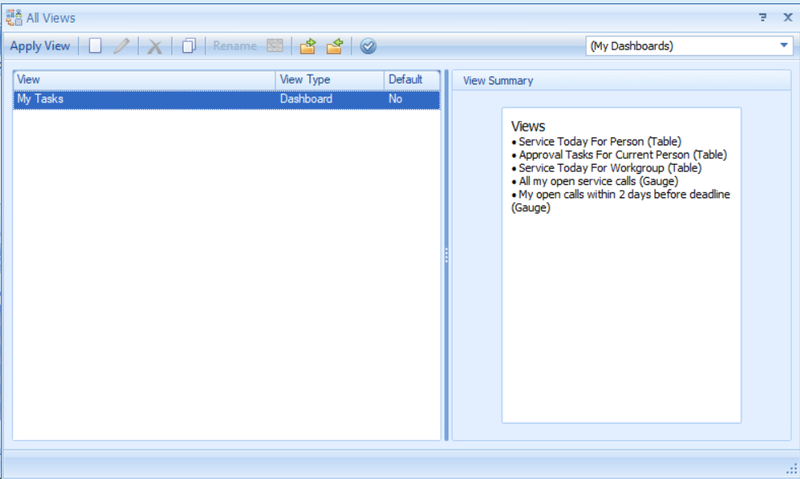 When creating the dashboard view make sure to use the item type ‘(My Dashboards)’ for the type of view and then simply add views to it. These views can be existing ones, or new ones. The only restriction is that the dashboard cannot contain composite views, i.e. other dashboard views or explorer views. Adding a new or existing view to the dashboard. Removing a view from a dashboard view. Editing the configuration of an existing view. As previously mentioned, the dashboard views are not restricted to specific areas of focus, so views of incident data, problem data, or any other data areas can all be displayed in the same dashboard. For more information on configuring dashboards see the PROLIN Smart Client 2016 User Manual, available for download with 2016 Release R17. Also introduced with Smart Client 2017 R17 is the new view type of Gauges. Gauges allow for easy viewing and monitoring of aggregated measurement on certain types of items, for example number of service calls open, number assigned to you, etc. The restriction with Gauges is that they can only be used as part of a dashboard, they cannot be used standalone, and will not therefore be shown in the navigation pane.